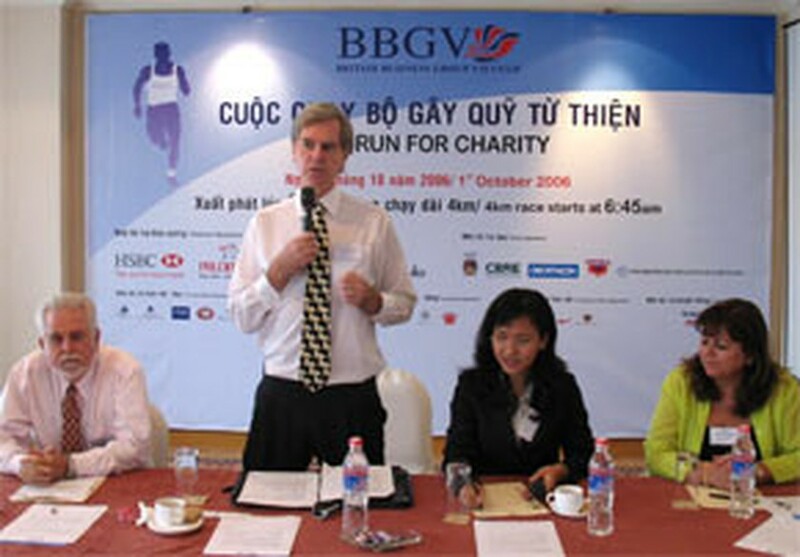 The British Business Group Vietnam (BBGV) expects to raise more than US$23,000 through its Fun Run for Charity 2006 in Ho Chi Minh City on October 1. The annual event has been held since 2000. All proceeds from the run go towards helping schools, poor patients in need of medical care and disadvantaged children in Viet Nam. BBGV executive manager Jakki Lydall told a Thursday press briefing that last year’s run collected US$23,000 and that she hopes for even better results for this year. 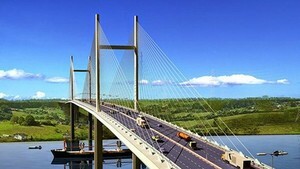 BBGV estimates that 3,500-4,000 people, both Vietnamese and foreigners, will join the charitable event. Last year, British Consul General in Ho Chi Minh City Deborah Clarke joined the four-kilometer run. Unfortunately she is away this year on business trip so will not be able to join the run." In 2004, her predecessor Adrian Stephens also ran and it has since been the tradition. The first year saw 1,000 runners and US$10,000 while last year 3,500 runners and US$23,000. The Fun Run is indeed fun every year as many kids join their parents for the pleasant outing. Running is by no means required and many people walk or jog and children are often seen, passing by parents pushing baby carriages. There will also be musical performances and actors dressed as favorite characters from children’s TV shows and movies will be in attendance to entertain the kids. While BBGV has organized the run, Prudential Vietnam will provide 500 staff members to join the event. The event’s diamonds sponsors are HSBC and Prudential Vietnam while Customer Insights, BP, Clarks are the gold sponsors; the silver sponsors are the British International School, CBRE, Decathlon, Freshfields, and Zuellig Pharma. The Fun Run will kick off at 6:45 a.m. at Saigon Zoo on October 1. 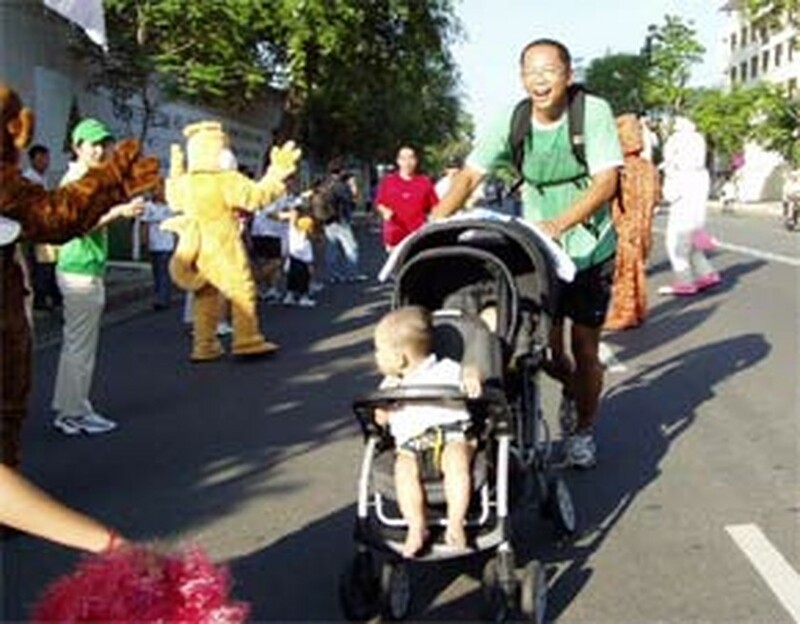 The runners will take Le Duan, Dong Khoi and Ton Duc Thang streets to complete the circle returning to the zoo. The more runners, the bigger funding raised for charity as the joining fee is VND50,000 per runner. Participation is half price for a child six to 12 years of age free for five years and under. Registration is conducted at BBGV Office, 25 Le Duan Street, District 1, tel (08) 829 8430, or online. You can also arrive at the zoo around 6 a.m. to register in time to run with the others. The fastest male and female runners will both win prizes. There will also be prizes for the winner and runner-up in the 12-18 age group as well as the winners of the under 12 category. But everyone has a chance to take home something as several random lucky surprises will be distributed during the event.